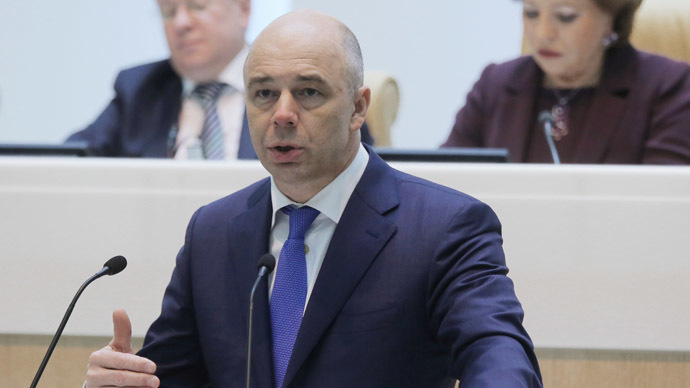 Greece hasn’t outright asked Russia for a loan, but Russian Finance Minister Anton Siluanov said Moscow wouldn't rule it out. His statement comes days after Greece openly opposed further economic sanctions against Russia. "Well, we can imagine any situation, so if such [a] petition is submitted to the Russian government, we will definitely consider it, but we will take into account all the factors of our bilateral relationships between Russia and Greece, so that is all I can say. If it is submitted we will consider it," Siluanov told CNBC in an interview in Moscow on Thursday. The new left-wing Syriza government in Greece won a majority at last Sunday’s election on the promise to renegotiate the country’s €317 billion debt and end austerity. Greece needs to negotiate with EU policymakers by February 28 in order to receive the next tranche of bailout funds. If Athens doesn’t get the money it will have difficulty servicing its debt. Two bailouts were paid in 2010 and 2014 totaling €240 billion. The new government was quick to show support for Moscow, and has openly called for an end to Russian sanctions, and may veto any future sanctions. On Thursday the European Commission decided to extend sanctions against Russia through September 2015, but did not add any broader economic measures. A spokesperson for the new PM Alexis Tsipras said Greece didn’t approve of any further restrictive measures. Between announcing it doesn’t intend to pay off its €317 billion debt in full and blocking Russia sanctions, Greece has emerged as a wild card among the 29 countries of the EU. Russia gave Greece a very valuable card to play in the EU when it announced its South Stream pipeline will be re-routed through Turkey, with a gas hub expected to be built on the border between Turkey and Greece. Russian investors have been watching Greece closely since the economy went bust in the 2008 credit crisis, which sent it looking for financial assistance from the EU to pay its creditors. The crisis, as well as the EU bailout policy, has sent the economy into a six-year recession, forcing the government to dismantle and privatize state assets to meet austerity targets under its EU bailout plan. State-owned Russian Railways and Gazprom have been eyeing stakes in Greek assets. Russian Railways has held talks with TrainOSE, Greece’s state-owned passenger and cargo rail operator. In 2013, Gazprom made a €900 million bid for Greece’s state gas company DEPA, but backed out of negotiations at the last minute, citing concerns over the company’s financial stability. Russian investment in Greek railways is estimated at up to $3 billion per year. Traditionally, the two countries have very strong tourist ties, with more than 1 million Russians visiting Greece each year. This number has been trimmed since the ruble crisis and slowed growth have forced many Russian to forgo foreign travel.